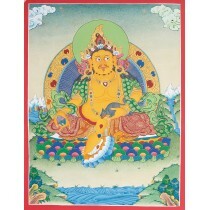 Thangka is a Buddhist religion painting representing and visualizing of deities.Thangkas are used as meditation tool which helps to bring one further down the path of enlightenment. 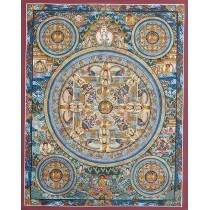 Thangka measures 23" of width with 23" of height perfect size for the decoration piece. 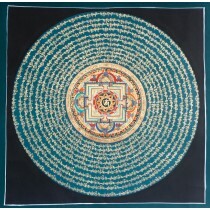 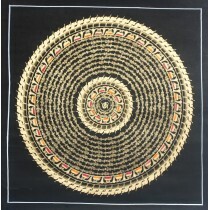 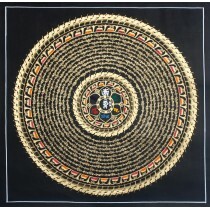 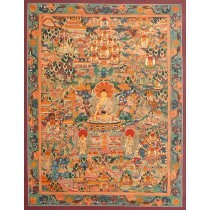 It can be decorated in wall's of home, offices, gumbas and other's.This elegant handmade thangka is made by an highly classed artisan which in this field from generations. 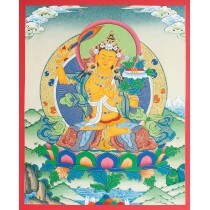 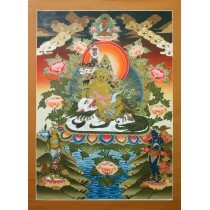 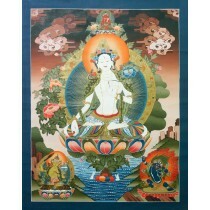 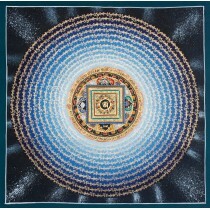 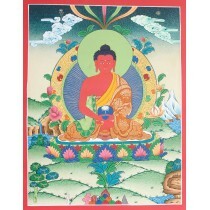 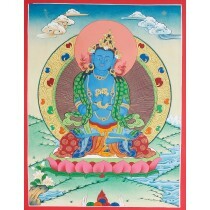 Artist has used posture colour to paint this thangka. 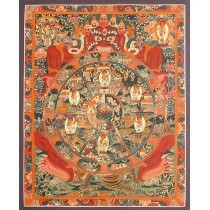 Thangka is a Tibetan Buddhist paintings on cotton, silk, canvas, usually despiciting Buddhist deities, scene, or mandala. 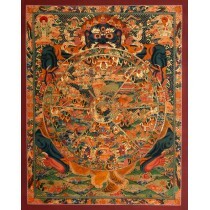 Thangkas are traditionally kept unframed and rolled up when not display, mounted on a textile backing somewhat in the style of Chinese scroll paintings. 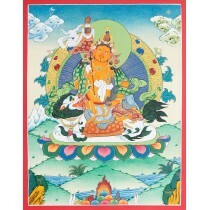 Thangka perform several different functions. 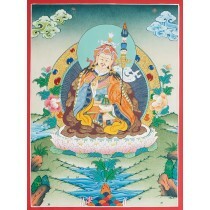 Images of deities can be used as teaching tools when depicting the life (or lives) of the Buddha, describing historical events concerning important Lamas, or retelling myths associated with other deities. 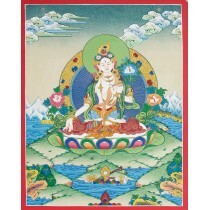 Devotional images act as the centerpiece during a ritual or ceremony and are often used as mediums through which one can offer prayers or make requests. 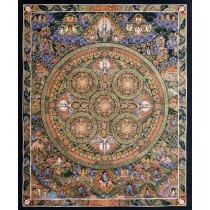 Overall, and perhaps most importantly, religious art is used as a meditation tool to help bring one further down the path to enlightenment. 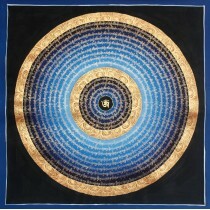 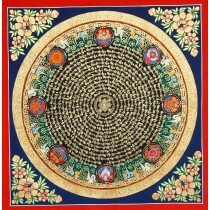 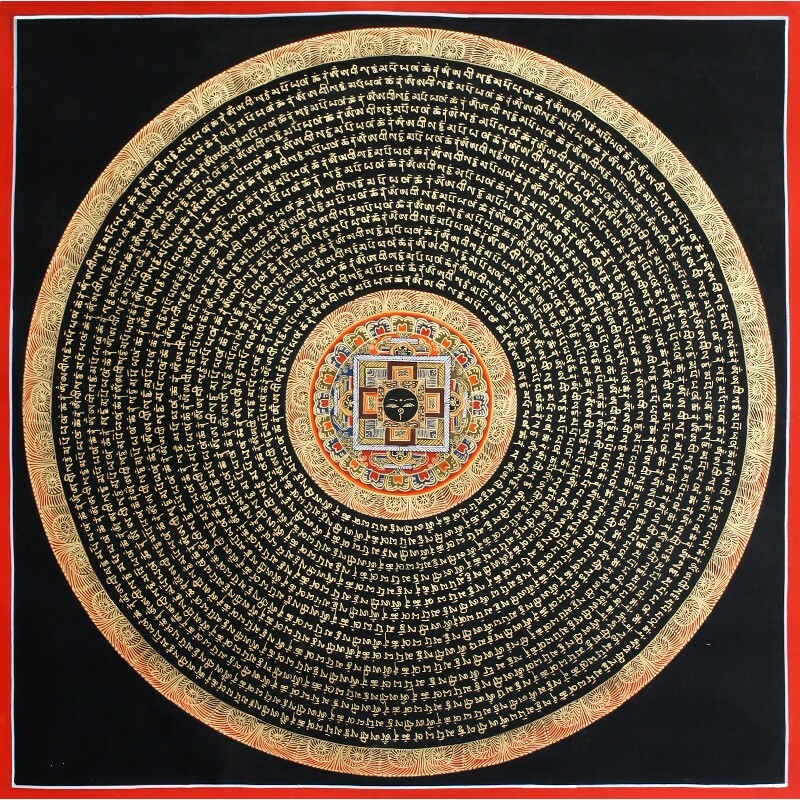 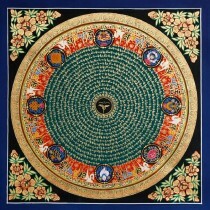 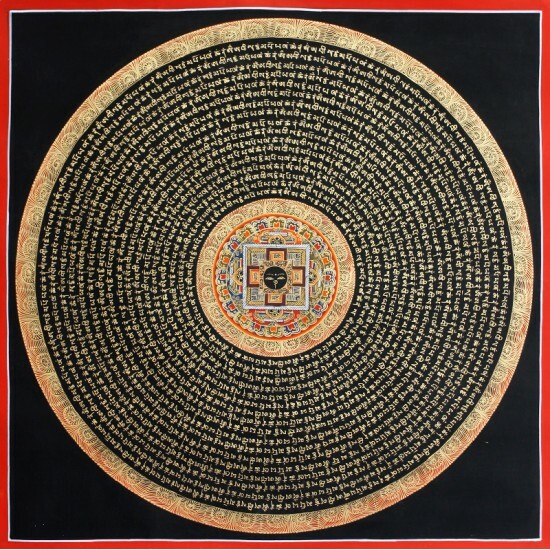 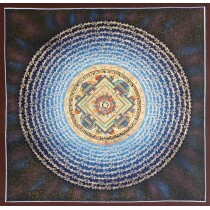 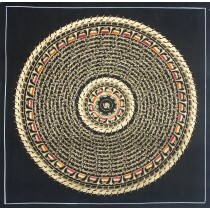 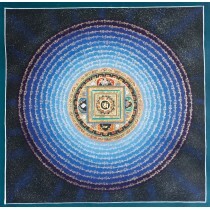 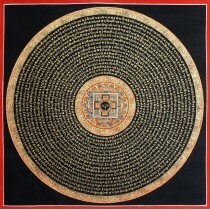 Mandala is a circle which is a device for the tantric meditation. 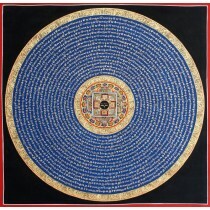 The mandala is a graphic representation of this process. 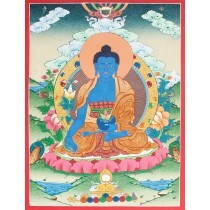 It is not only theoretical but practical also an operational scheme involving a clear plan for practical realization of the process within oneself. 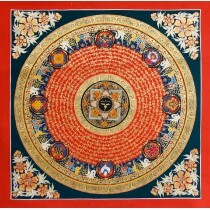 There are many types and varieties of mandala depending on the nature of central deity.The mandala represents "place of purity" a magic sphere cleared of spiritual obstacles and unpurified. 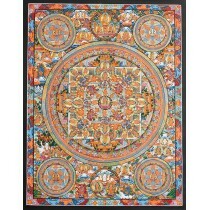 These thangks are so wonderfully painted that each and every detail of the thangkas can be clearly visible.